If you follow me on Instagram you will know I love making a wreath for our front door. I enjoy making it as much as I do displaying it as it’s so therapeutic. Although I do love to craft, I am no expert and I have my own style which is a little whimsical and perhaps ‘ imperfectly perfect’. But I think that’s what makes you own personal creation that little bit more special. 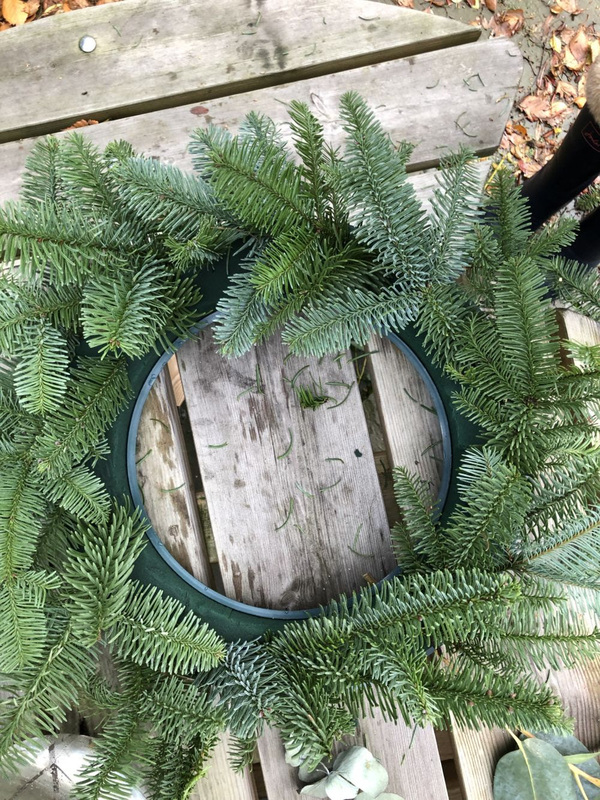 So you don’t have to be any kind of expert to give this Christmas wreath go. Just make it your own and enjoy it! 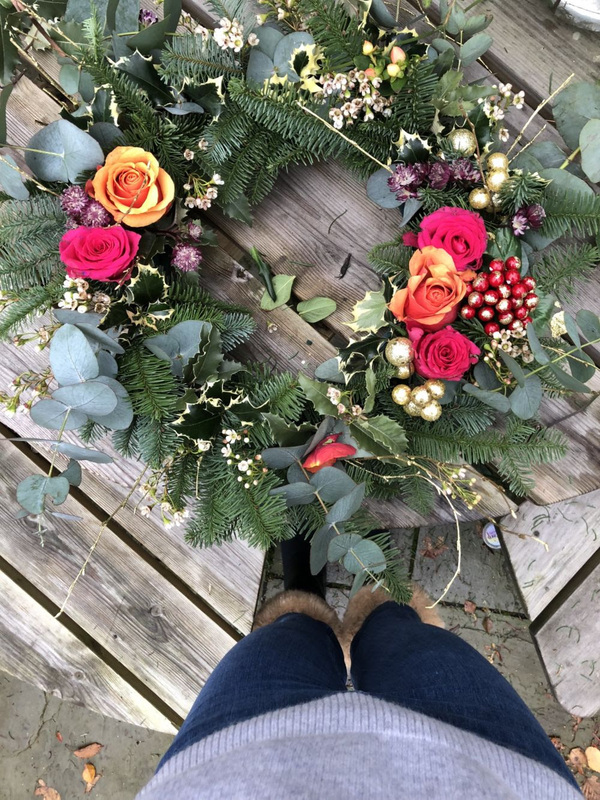 Wreaths can be made with ANY kind of foliage or flowers, I just hope that this inspires you to try it, and realise how easy it is and more importantly how enjoyable it is. Just have a play about, and done worry if it looks messy you can tidy it up at the end. Do tag me in any of your creations over on my Instagram as I love to see them and hope you find this helpful. 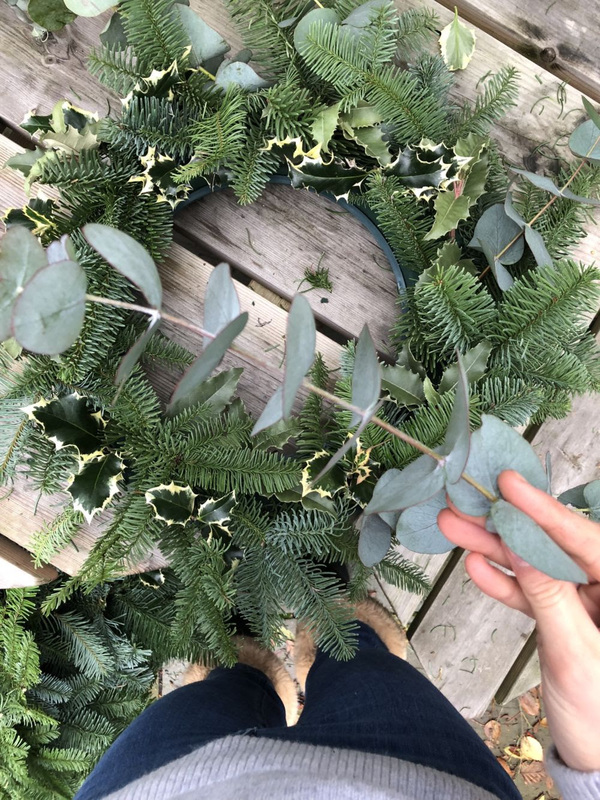 Here’s my step-by-step guide to making your own Christmas wreath. 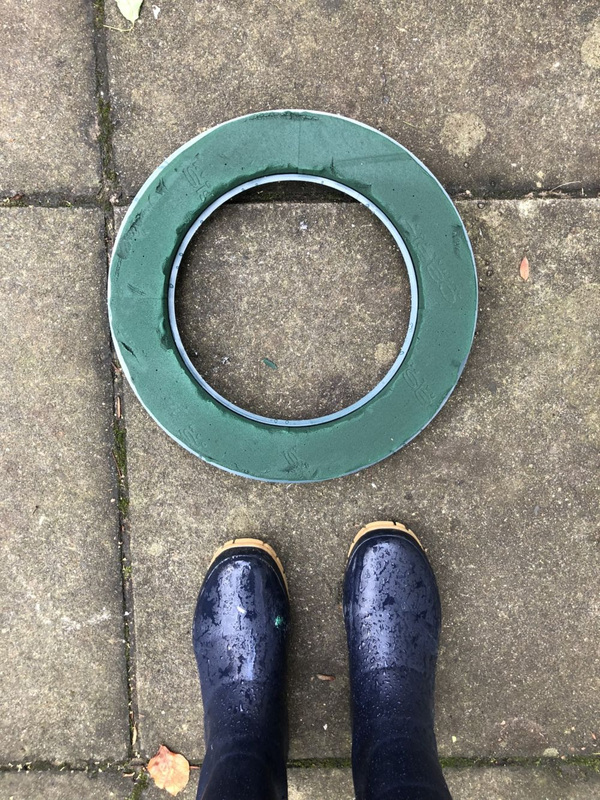 I use a florist oasis wring which you can buy at your local flower market or on amazon. This one is 35cm . It holds a lot of water so keeps the flowers fresh and I will water it every few days once the wreath is complete. To start with you need to soak it so it is full of water. Start with your Foilage, arranging it in a circular order all going the same direction . Don’t worry if it looks a little untidy. The main aim of this stage is to hide the base of the oasis. Anything that is untidy we can trim and cut back at the end . I started with the Christmas tree cuttings, then the Eucalyptus and finally the holly (which was a little prickly). Next add the smaller flowers and accessories. 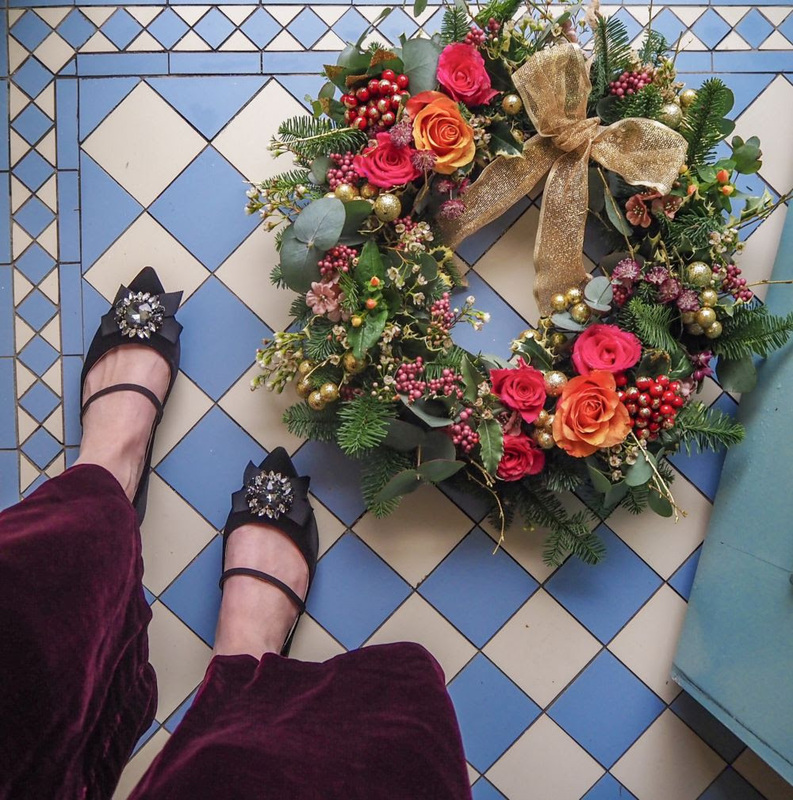 I went for the small wax flowers and some of the little gold sprayed twigs and berries next, adding them evenly around the wreath. Next I add the larger flowers and more decorative pieces, such as the fold baubles and larger berries. I add these in areas randomly where I feel they would look nice. 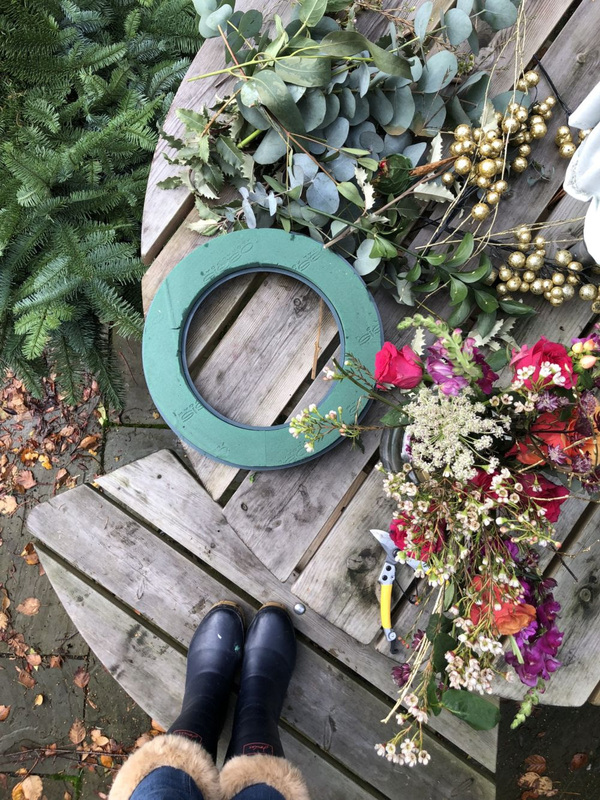 I don’t buy fresh flowers to make the wreaths, these ones are about a week old and a little past their best, but I find by cutting them short and keeping the wreath outside in the fresh air the flowers get a new lease of life and last at least another week . 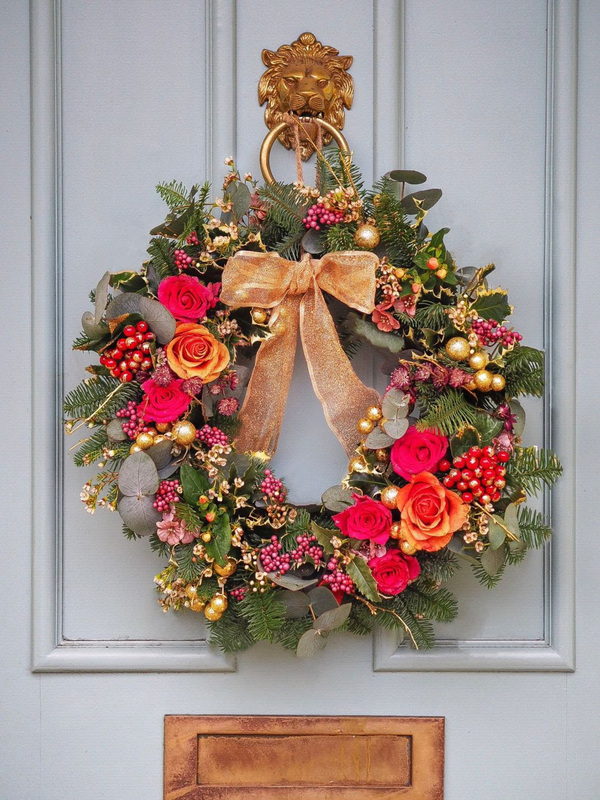 Finally, I hold up the wreath and trim off any areas that look a bit unruly or overpowering and then use twine to hang up on my door. I do water it every 1-2 days to try and keep the flowers alive as long as possible. 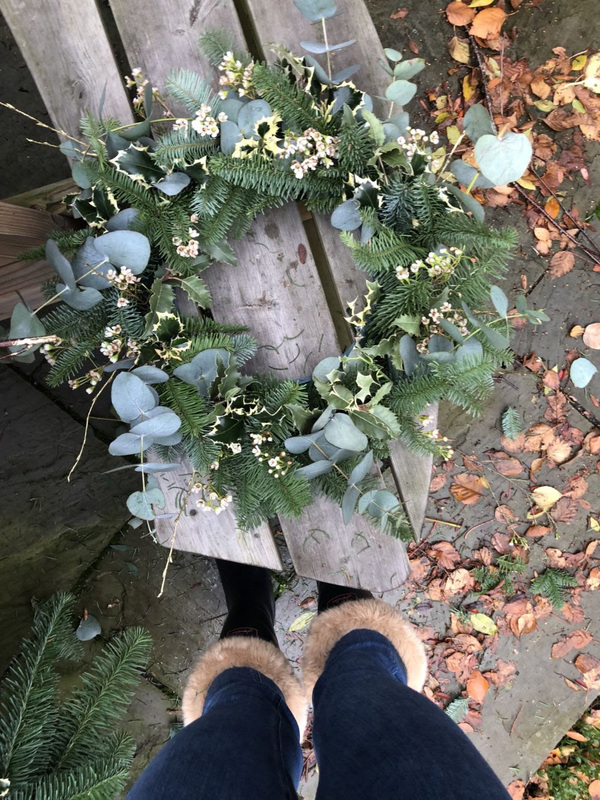 The foliage will last much longer than the flowers so another option is to change the flowers after a week or just use a foliage wreath instead which looks just as lovely. 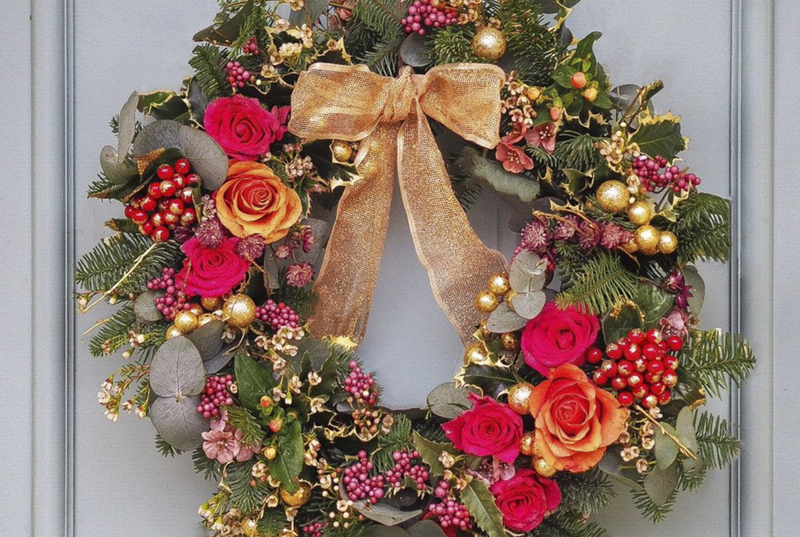 A beautiful showstopper Christmas wreath! 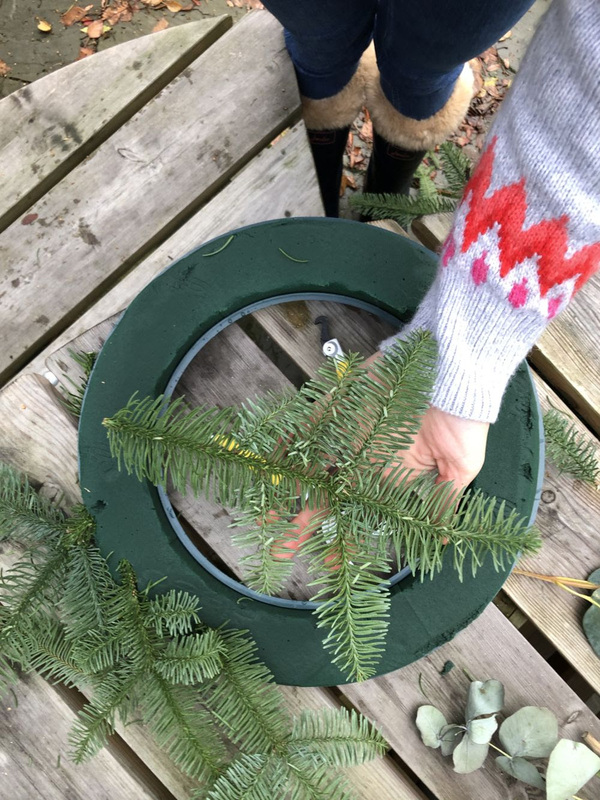 Have you tried making your own Christmas wreath? We’d love to know your tips. Let us know your thoughts by commenting below.